If you're looking for a meaningful name with a beautiful sound, look no further than these Hawaiian baby names. Mother and son having fun at tropical Kee Beach in Kauai, Hawaii, USA. Hawaiian baby names are appealing for several reasons. They have distinctive rhythmic sounds, evoke beautiful images of nature and hold deep significance in Hawaiian culture. So if you're looking for a meaningful name look no further! 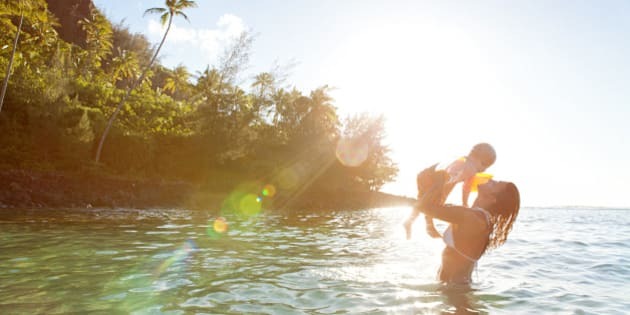 Here we've rounded up 20 Hawaiian baby names perfect for your little bundle of joy.